Start the new year off on the right track. As we approach the new year it is always a great time to reflect but an even better time to set a plan in action for the coming year that will make it your best year so far. No one wants a repeat – what we all strive for is to be better, healthier, lighter, and more successful than the year just past. To start the new year off on the right track – change is in order. For things to change YOU need to change! If you keep doing the same things over and over you will keep getting the same results. So what can you do to start the year of right and have it last more than just a few weeks? Know your WHY? If the reasons you need to make changes are strong enough than the facts don’t matter. The how does not matter. Whether it’s business or health related changes that are needed it is your well defined WHY that will ignite the burning desire in you to surpass all the obstacles that will surely get in the way as you strive for those worthwhile goals. Life happens, things get in the way, and yet if the pain associated with NOT accomplishing your goals is greater than the pain required to attain them, you will prevail. You will lose those pounds. You will learn what you need to learn to move forward in your chosen venture and you will not quit until you win. So.. figure it out – take the time and decide WHY it matters to you. WHY are you willing to make those shifts in your lifestyle to make this coming new year the best yet. Expect to win! We tend to self-sabotage by looking to our past experiences and failures. Not this new year! I feel that I have discovered a breakthrough with this ketogenic lifestyle that few people have discovered yet. This lifestyle is empowering as the results are so dramatic and rapid that for the first time in years I am in total control of my weight, my mental clarity, and with how I feel overall. Once you have lived and know for yourself the power of this secret you can expect to win as well. Commit to living in ketosis for the next 30 days and watch the magic happen for yourself. Find a partner and set some goals. It is so much easier to make a shift in lifestyle with a friend or spouse than it is to go it alone. My wife and I eat and cook together as often as we can and we coach and inspire each other to make proper food choices so that we can both arrive at our weight and health goals together. When we hit a goal we celebrate with a date night out on the town someplace special and we look good doing it too! Leave something behind. In order to make room for the new, you must shed some old habits, mistakes, disappointments, fears or toxic relationships that don’t serve you. Blame, procrastination, comparing yourself to others, will not move you forward in the year ahead. Something positive and great can now take its place when you create the space for it. 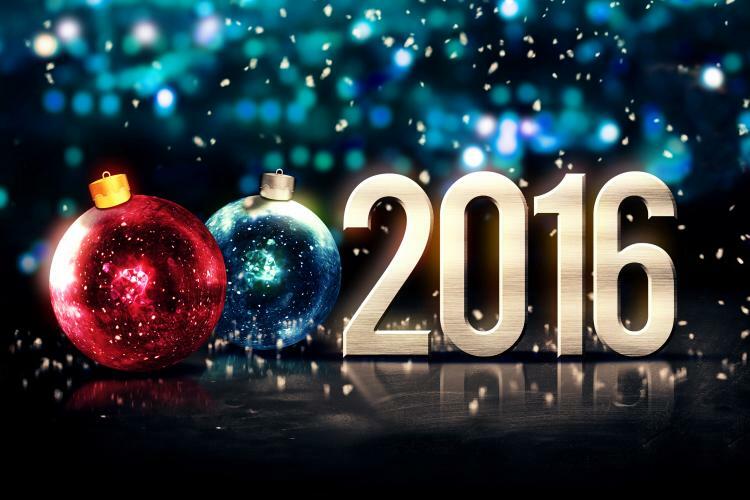 Happy New Year my friends. Looking forward to a deliciously lighter new year together. I have been part of the brussel sprout camp for some time now. If you have not yet joined I can understand as they do need to be prepared well – not under cooked…. not overcooked and properly seasoned. I have come to love a roasted brussel sprout so I thought I would venture out of my norm and try some salad variations and this spinach and brussel sprout salad has become a keeper at our house. Hope you enjoy it as well. A zesty and easy salad you will come back to again and again. On a wooden cutting board make a paste of the garlic and salt with the edge of a large chef knife. In a small bowl add the garlic paste, mustard, vinegar, pepper and wisk. Add the lemon juice, honey, lemon zest and wisk again. Add water and wisk again. In a large salad bowl add the spinach and brussel sprouts. Add seeds, nuts, and blueberries. Add fresh ground salt and pepper to taste. This post is inspired by my neighbor Greg who insists I must have a secret knock or a, special, assigned to me, cheese-monger-type-lady friend at the supermarket that gives me exclusive access to all “the good cheese”. I assure him that this is not the case – she is not assigned to me exclusively and its more of a nod than a knock! 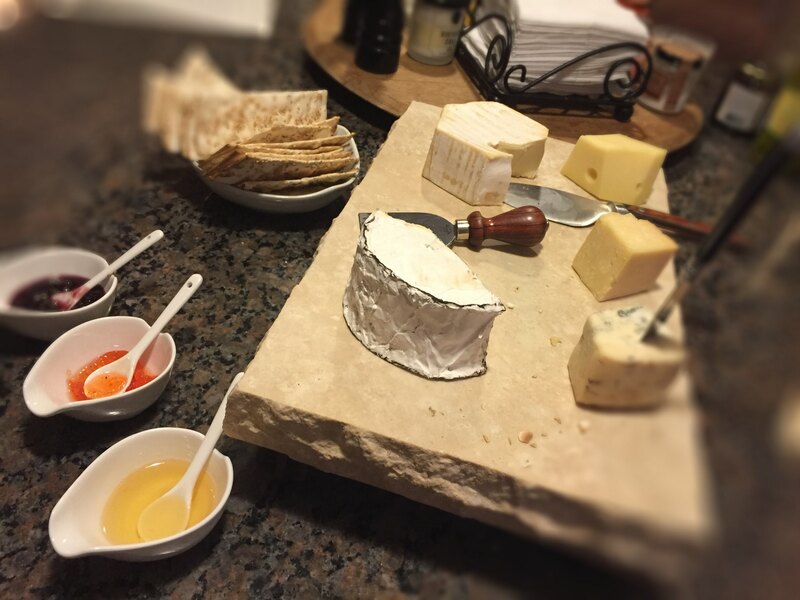 We often find ourselves around our kitchen island at happy hour or even after a late night ping-pong session sampling all my recent good cheese finds that are well-matched to various jams and other accoutrements. I assure you that even though cheese is keto-friendly, I often partake in the less keto, crackers, honey and jam, but within reason, and only once a week. Some things just go too well together – Is it wine:30 yet? This time of year the markets load up on specialty cheeses more so than any other time of year anticipating our demand and willingness to splurge on entertainment for the holidays. The best cheese is often from Europe as well as some artisan local selections and all tend to be pricey. If you keep an eye out, some of these more expensive cheeses are marked down 50% as they near their sell-by date. That works for me as long as a happy hour plan is only a day or so away – ripe and ready to eat at 1/2 price – sign me up! In order of best selection locally, Big Y hands down has got their act together in the cheese dept. Stop n Shop is next with ShopRight always tailing way behind. 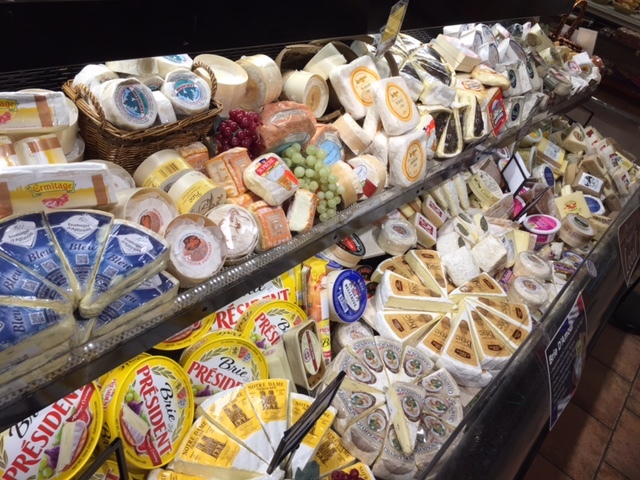 The Fresh Market also has a great selection of good cheese but at 20-30% more expensive overall than the others. One of the cheese isles at Big Y in Avon, CT. If you are a silver card member or are sitting on some silver coins from Big Y be sure to pick up some Prosciutto Di Parma to go with your cheese. It is almost always on sale for $14.99/lb. and if your catch it right – $9.99/lb. Below are some great ones: Humboldt Fog – Goat, Fromager d’Affinois – Brie, Jarlsberg – Swiss, local aged Cheddar, Gorgonzola from Italy. Mostly, cheese is about personal preference but be sure to explore and try something different, smelly or expensive this holiday season. I know I will. Cheers! Not sure how this happened… but I somehow made it 48 years on this planet without ever having tried a Lamb Burger. If you happen to be suffering from this same oversight – no worries I have a solution and a recipe for you that will correct this culinary deficiency. A tipping point must of happened sometime last year as lamb burgers began showing up as specials at some of our favorite restaurants and being a lover of lamb I had my first. Growing up in Astoria Queens NY, I had my fair share of pita wrapped lamb Souvlaki from a region some would argue as having the best Greek Food in the city. It’s no wonder my taste buds long for those flavors of the past done so simple and so well. The tzatziki, onions and tomatoes would blend to require extra napkins as I reached the tail end. I make different cuts of lamb in various fashions but my go-to quick weeknight favorite is this recipe below. It is actually based on a Charmoula lamb burger recipe of Moroccan origin but served with a greek salad I am home again. 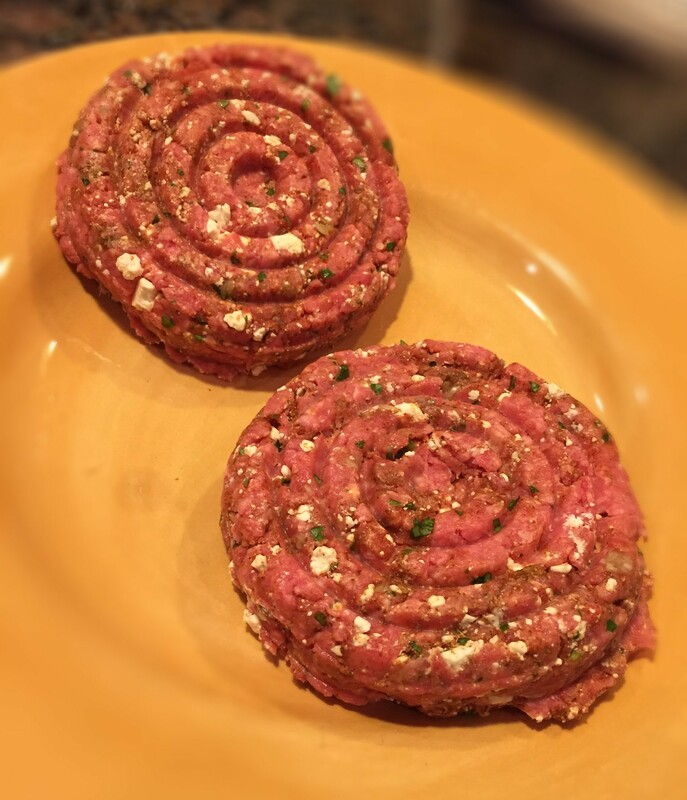 Good quality ground lamb is easy to find in most supermarkets these days – my favorite is from Cedar Springs which claims, “restaurant quality”. As for the Tzatiki the folks over at Sabra (the Humus people) have nailed it so I do not bother making my own. I often add Kale to my greek salad to change things up but be aware, kale has a few more carbs than romaine. In a large glass bowl add the ground lamb. On a cutting board mash the garlic with salt with the edge of a large chef knife to make a paste. Evenly spread the garlic paste on the lamb. Mix the cumin, coriander, paprika. cinnamon, and cayenne in a small bowl. Evenly sprinkle the spices over the lamb. Add the cilantro and the crumbled feta cheese. With your hands mix well being careful not to over work the lamb. Form 2 burgers with a burger press. Grill on med high heat for about 8 min per side for med rare. 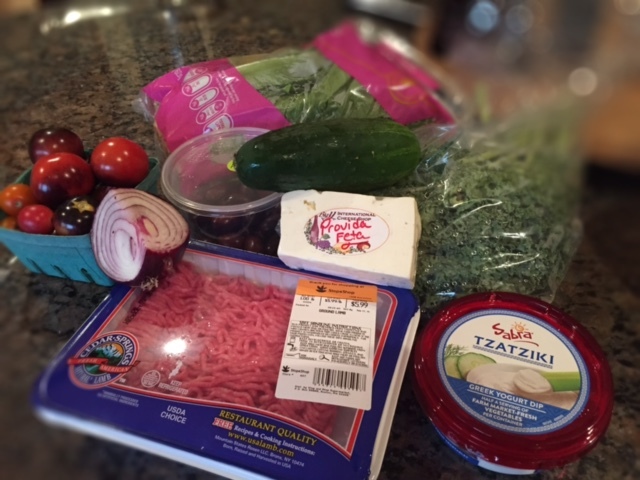 2 tbsp of the Sabra Tzatziki has - 2 grams carbs, 2.5 grams of fat, 40 calories. If you are eating a usual high carb diet then adding heavy cream to the mix will indeed add density to your waistline. Now that we spend most of our days in ketosis we have re-introduced this favorite to our monthly menu. The kids still get the rice but my wife and I opt for sauteed broccoli rabe or mashed cauliflower and a salad to go with. It’s good to be Keto! 1.5 tbsp EV olive oil. Make sure the pork is room temperature. Dust with salt and pepper. Drizzle olive oil and coat pork on all sides. Put pork on a preheated grill - reduce heat to medium - medium low. Grill pork on both sides about 8 minutes per side for medium. Remove from heat, cover and let stand for 10 minutes. Slice pork 1/4 inch slices on an angle. In a small sauce pan combine mustard, tarragon, and cream. Simmer on very low for 10 minutes. Be careful not boil sauce. Pour the sauce over the pork.